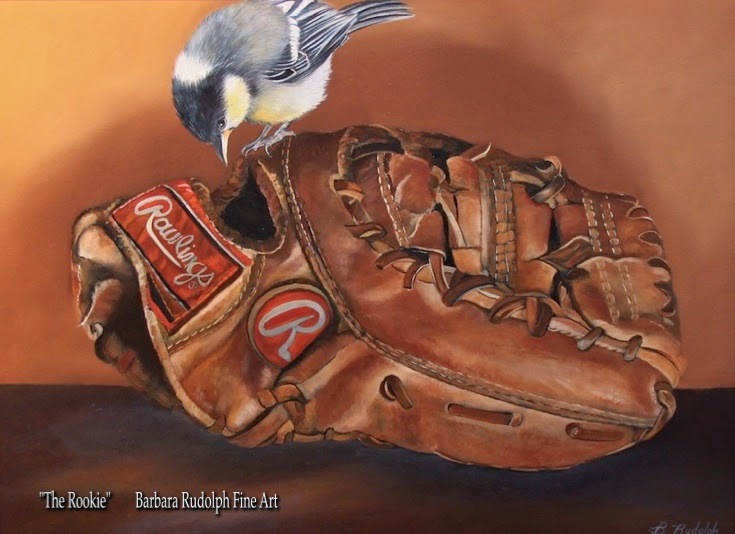 The painting image above is a recent painting I did called "The Rookie." I have posted it before, but just happened to see that the amazing painting "The Rookie" by "Norman Rockwell" is now on display at the "Museum of Fine Art" in "Boston." If you are in "Boston"....don't miss a visit to the "Museum of Fine Art" to see Norman Rockwell's painting "The Rookie." Celebrate the 2013 World Champion Red Sox, and see the beloved Norman Rockwell painting The Rookie (1957). Rockwell’s classic work portrays a group of seasoned players sizing up the newest team member in the Red Sox locker room during spring training in Sarasota, Florida. The painting was previously on display at the MFA in 2005 and 2008, following those memorable World Championship wins for the Sox. The painting appeared on the cover of the March 2, 1957 edition of theSaturday Evening Post, a publication most closely identified with Rockwell, and for which he produced more than 300 covers. Above: Norman Perceval Rockwell, The Rookie (Red Sox Locker Room), 1957. Oil on canvas. Courtesy of Christie’s, New York. The Rookie illustration © SEPS licensed by Curtis Licensing Indianapolis, IN. All rights reserved. Image appeared on the cover of The Saturday Evening Post, March 2, 1957.